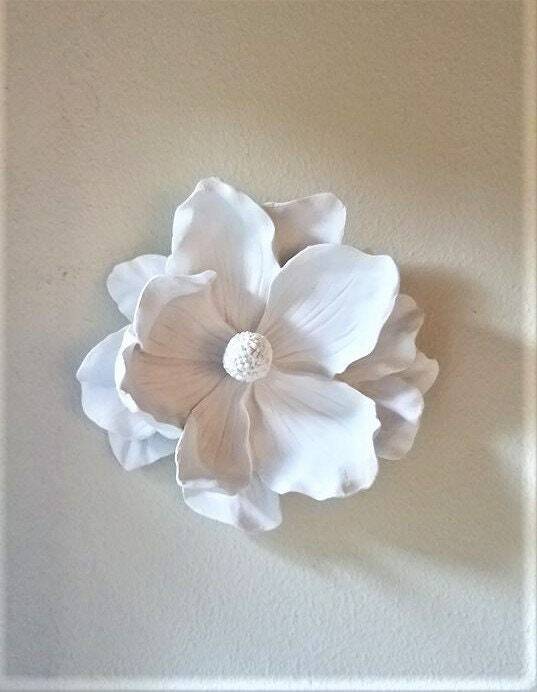 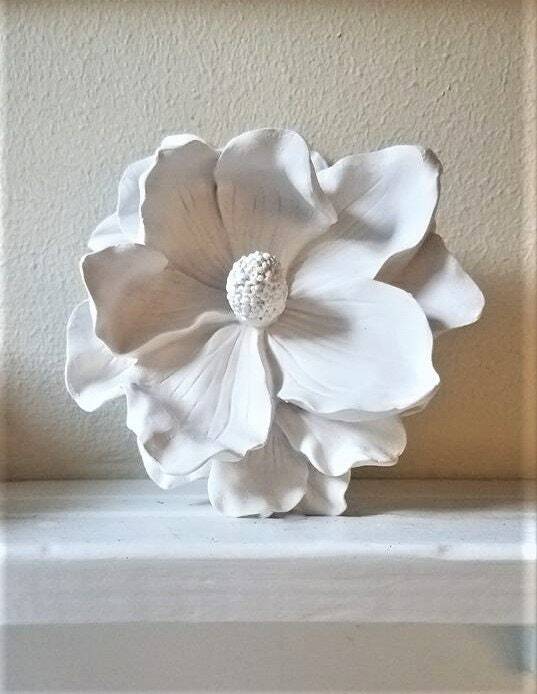 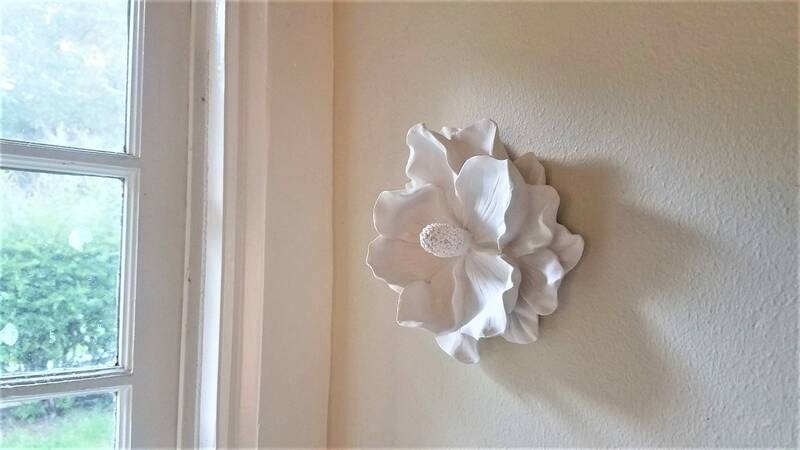 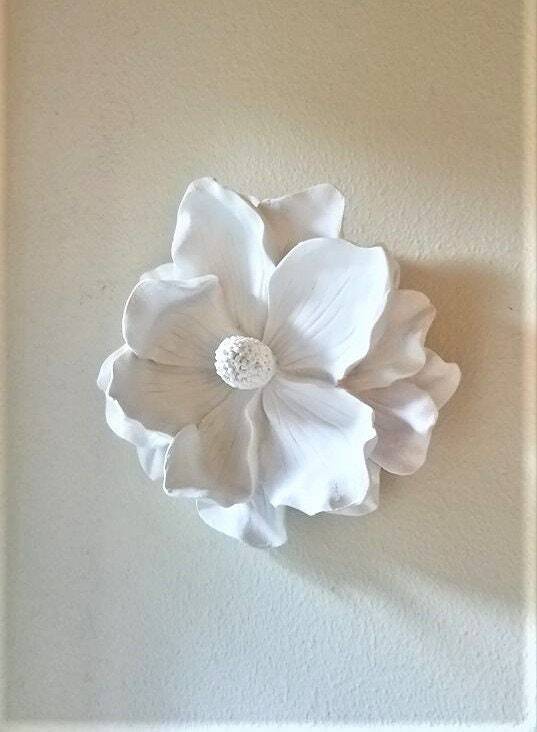 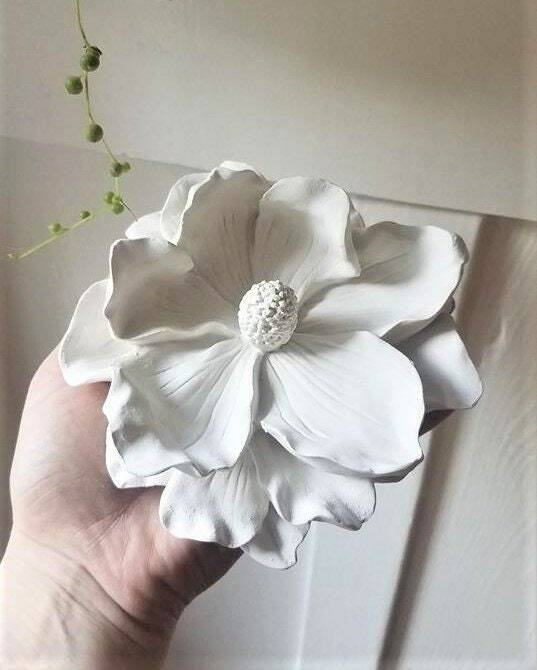 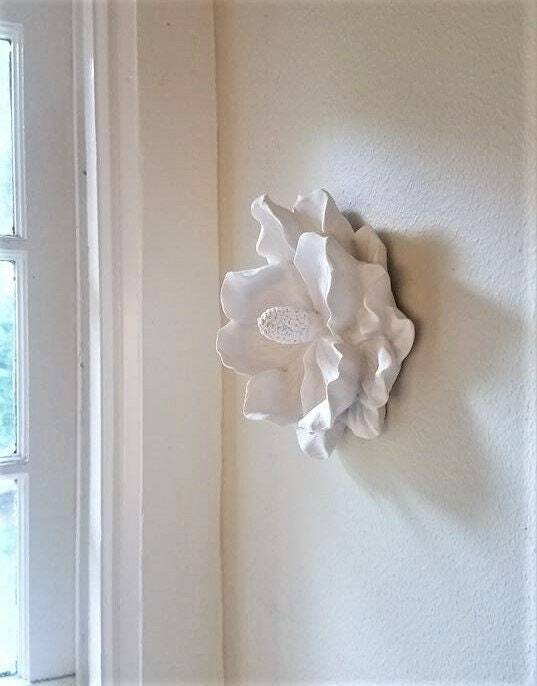 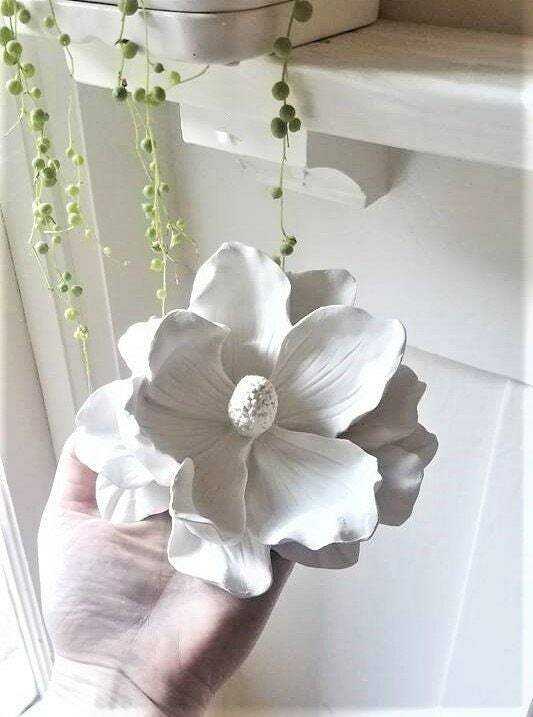 This Magnolia blossom is beautifully textured and makes such a simple, lovely statement piece on any wall. 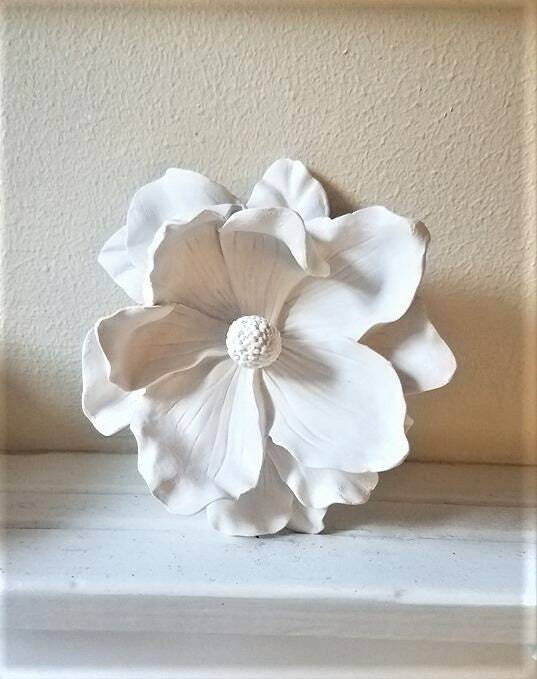 Measures 6.5" across and 2.5" deep. 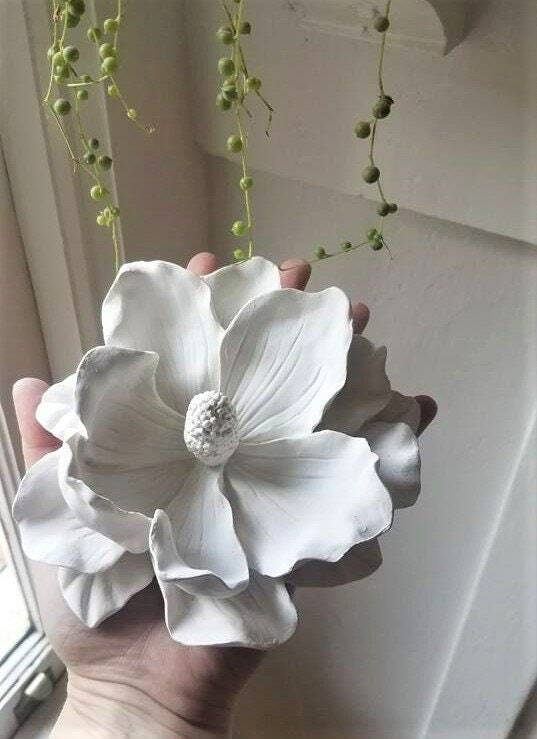 Also available in my jewelry holder section as a table top trinket dish!